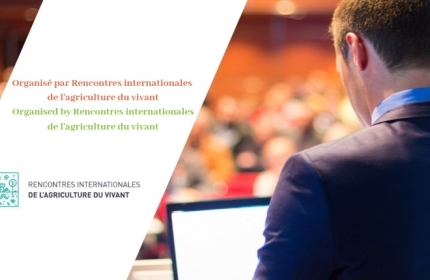 Organised by La Ferme Digitale (an independent association with the aim of promoting innovation and digital technology for efficient, sustainable agriculture) and other partners/exhibitors. Changes in lifestyles and consumption patterns in recent decades have tended to break down existing social links, both horizontally (between consumers) and vertically (between producer, distributor and consumer). The new, sharing patterns of consumption and the desire for quality and transparency - trends resulting from a new globalised civic awareness - are leading to the re-creation of these links. What are the economic and societal impacts? What answers does innovation offer in these ever-changing markets? Positive communication in agriculture: 10 YouTubers for 10 advices! For the first time, the most influents youtubers will be gathered to deliver their advises for a positive farming communication. Meet David, Gilles, Thierry, Benji, Alex, Gaël, Etienne and Théo. As the driving force of the African agricultural revolution, Morocco is a major player in the development of new agricultural technologies in Africa. Irrigation, productivity development, maintaining soil fertility, resilience to climate change, etc. 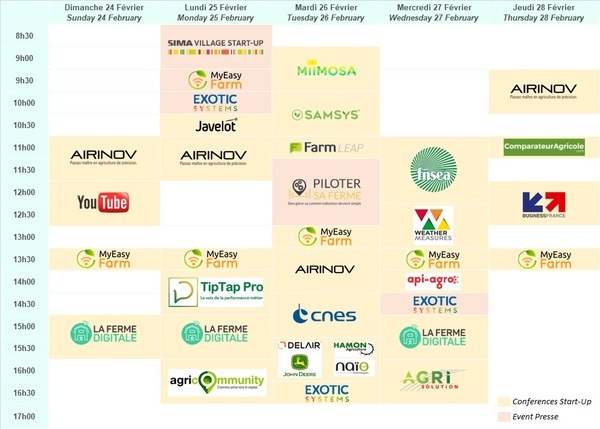 Multiple challenges that Valeur-Tech contributes by testing, integrating agtech solutions and by developing an ambitious start-up acceleration program for OCP. SIMA will host a hackathon in situ where coders and farming professionals will work together for 48 hours on the theme of “Agriculture and satellite data”. Sponsored by La Ferme Digitale, this focus group will aim to create synergies between the various partners and start-ups with a view to developing innovative technological prototypes using satellite data. Agricultural data from space to earth via drones: what is the complementarity? Workload and working conditions, regulatory requirements, questions about glyphosate herbicide: could precision weed control be the game changer? Professionals, consumer-actors, exhibitors or just curious visitors, why not join us for a friendly tweet-up over drinks on this final of the show, and find out about the agricultural innovations of today and tomorrow! An exclusive event for exchanging ideas with the influencers of the agricultural world, innovative, connected... and positive.